Each week we will spotlight a member of the SWTOR community and get him or her to answer ten slightly off-the-beaten-path questions. Feel free to answer the questions yourself in the Comments section! This week we highlight, Scott Johnson of The Instance and Frogpants Network. We find that Scott’s guilty pleasure is buffalo wing flavored pretzel bites and chills out to Music is Better Than Words, by Seth McFarlane. Welcome to 2011, the year of the rabbit and SWTOR release! Roxanne is back with her BioWare fangirl enthusiasm and knowledge of Star Wars ships. 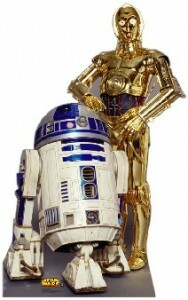 Plus, she makes fun of Kathy’s interpretation of gear slots on droids. Carla has never heard of snow blowers.